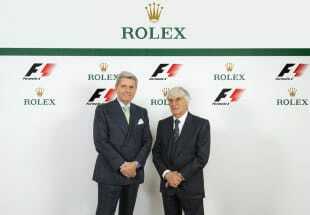 It has just been announced that Rolex has become a major partner of Formula 1. The leading luxury watchmaking brand will be the Official Timekeeper and Official Timepiece of Formula 1 beginning in the coming 2013 season. Rolex Company leaders are very proud of the partnership and are committed to the sport for the foreseeable future. Formula 1 Racing and Rolex Team Up to provide the best. The partnership arose from the two organizations’ dedication to precision, performance, and innovation. The Rolex Company’s commitment to the professional sports world extends into golf, tennis, Daytona racing, sailing and equestrian sport. The exciting partnership will highlight the true benefits of self-winding mechanical watches, and especially chronograph for race car drivers. It is expected that the Oyster Perpetual Cosmograph Daytona will be the featured timepiece. In today’s world Daytona watches are one of the most highly sought after collector’s items on the market. The watch’s popularity grew tremendously after Paul Newman was seen sporting the ruggedly handsome timepiece. Very few Rolex Daytona’s are produced on a yearly basis, making the model a rarity. Formula 1 Racing and Rolex are teaming up for something special. At each Formula 1 Grand Prix, Rolex will provide the official time throughout the venue. 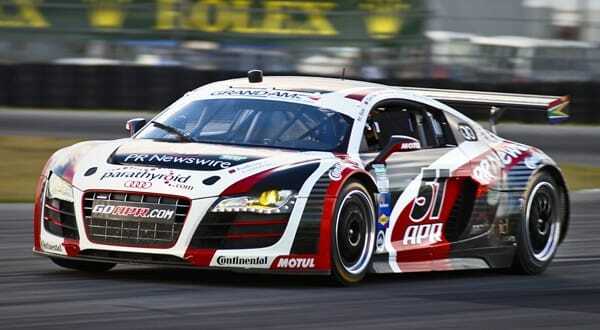 Additionally, the Rolex logo will be positioned around the circuit and at the corners of the racetrack. According to key representatives of both organizations, as the years progress, the Rolex brand’s presence is expected to grow considerably.